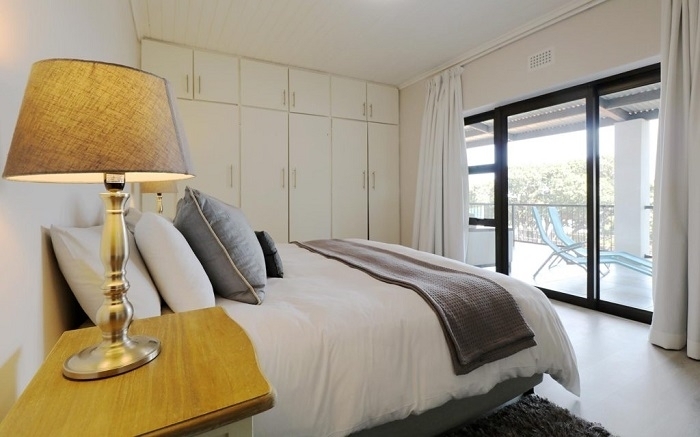 We are in an idyllic setting nestled beside the Hottentots Holland Mountains, overlooking the panoramic False Bay ocean above the local whale-watching point. From individually decorated Rooms and Suites through to the Indoor Swimming Pool, Lounge and Entertainment Bar area, we’ve blended elegant style with comfort and Eco-friendly amenities. We provide wireless internet access in all our Rooms and Suites as well as in the lounge area, and offer private airport transfers on request. 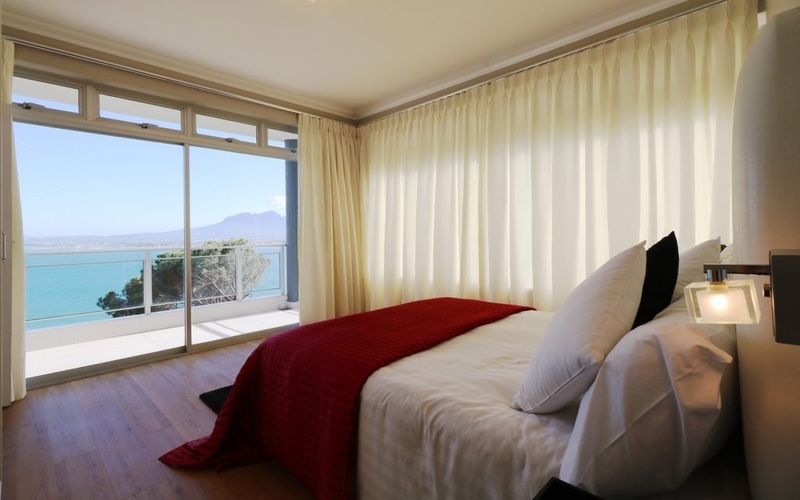 The Sun Deck on the roof allows one to admire the full view of False Bay and the Hottentots Holland Mountains. You can enjoy the fresh air while relaxing on one of our sun loungers. 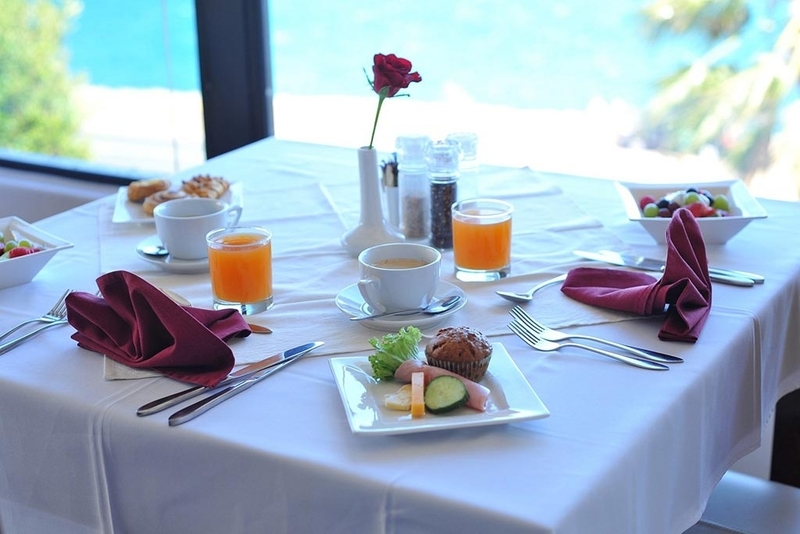 At Oceana Palms, guests can release stress and feel at home, starting the perfect day with our delicious breakfast which is served in the Restaurant or on the outdoor terrace. The Oceana Palms Team will meet and uphold all service levels of excellence during your stay and cater for any special occasions such as Anniversaries, Conferences and Honeymoons. 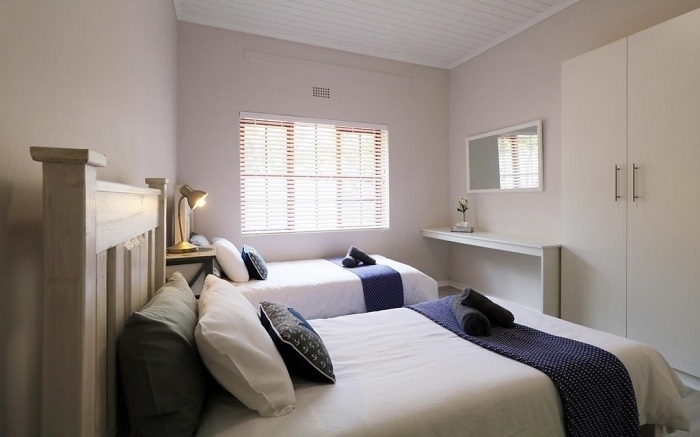 We offer two spacious Deluxe Suites, a roof deck Penthouse Suite and 4 Standard Double Rooms, some with a sharing balcony, shower and some Spa bath. To make your stay an unforgettable pampering experience we offer you a wide variety of facilities in our panorama lounge and bar area, around our indoor pool or bbq braai facilities. 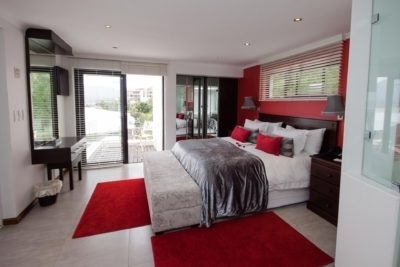 Oceana Views is a contemporary, modern multi-level villa for eight, situated in the most upmarket suburb of Gorgeous Gordons Bay.Oceana Palms is a stylish, sophisticated 4 star Guest House offering luxurious bed and breakfast accommodation in Gordons Bay. 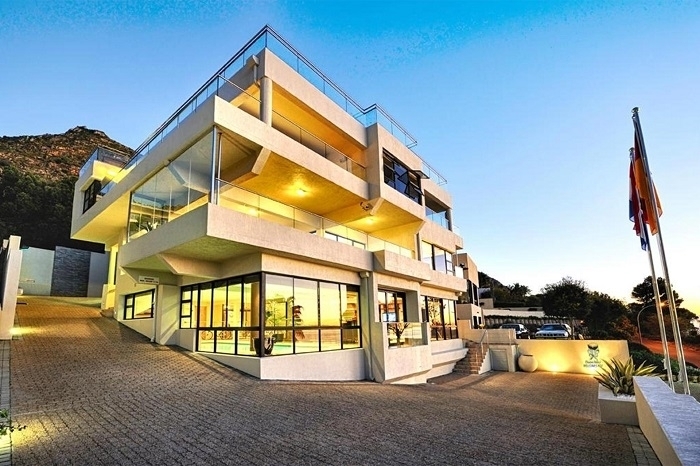 Situated in the most upmarket suburb of Gorgeous Gordons Bay, Oceana Views is a contemporary, modern multi-level villa that caters to up to eight guests. 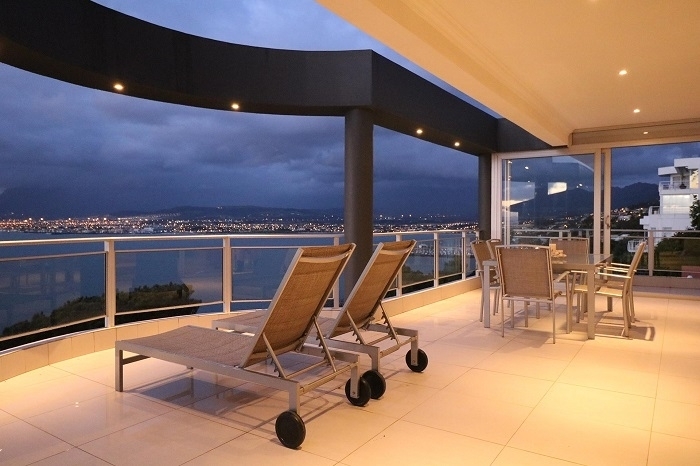 Towering over false bay and boasting views of Table Mountain, this undeniable luxury villa is in a sought-after location that puts you just a stone’s throw away from renowned beaches, restaurants, golf courses and other major Cape Winelands attractions. This villa has it all! Whether you are traveling on business or holiday, Oceana Views offers a world-class accommodation experience that is designed to make you feel at home from the moment you arrive. 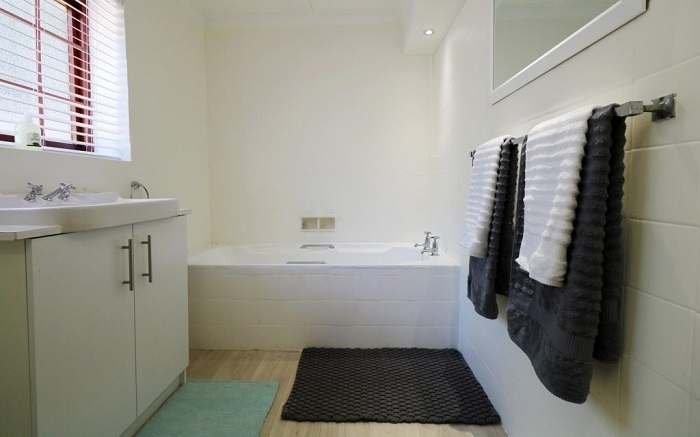 The house offers five bedrooms with double beds, own designer en-suite bathroom, sea views, plenty of wall cupboard storage, plug points and other necessities. 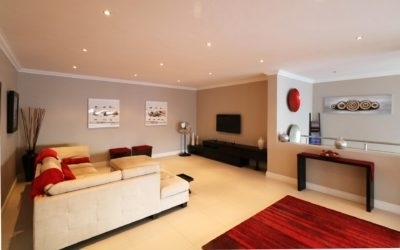 The upper level has two fabulous lounge areas in a wide open plan living area, with dining table for 8 and a modern, well-appointed kitchen and a wide open balcony with bbq braai facility. 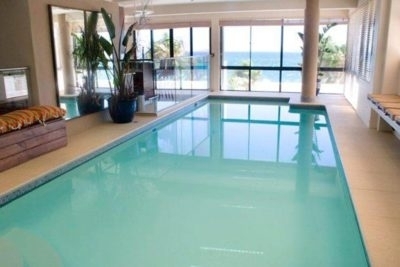 Oceana Beach House is a superb, beach front vacation home. Ideal for families seeking a fun, sun, sea side holiday. 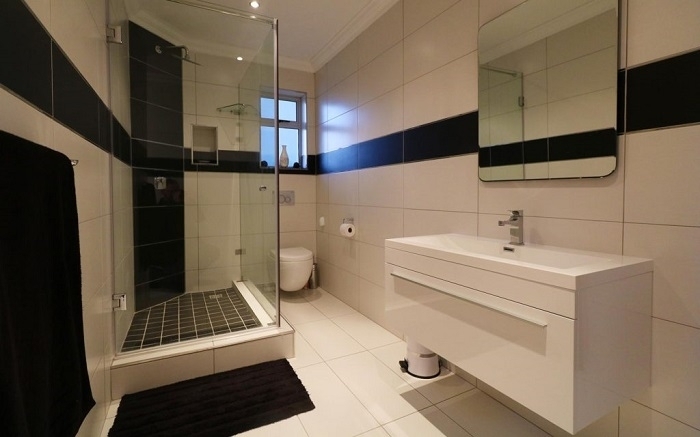 Situated on Beach road and opposite my favorite shady beach in Gordon’s Bay, this home offers a large undercover, well furnished veranda, with built in BBQ and extreme close proximity to the beach, which is right there at your doorstep. Spend hours on your sun lounges or outdoor couches, soaking up the beach atmosphere and sounds of the sea from the comfort of your home. Centrally situated on beach road, Oceana Beach house is a quick walk along our shady coastal paths to shops, restaurants and grocery stores. 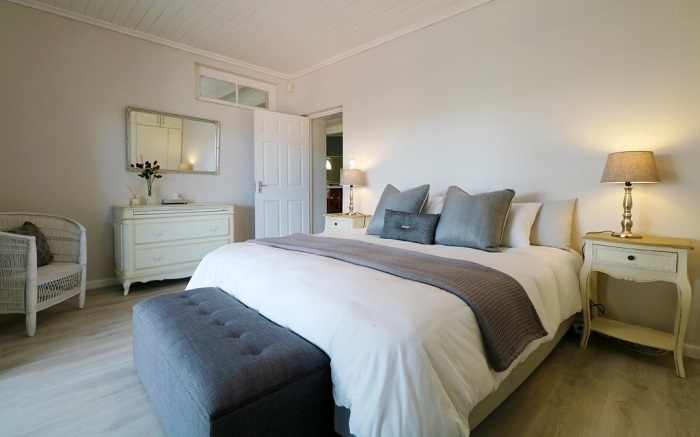 The house is virtually at the beach front, with a roofed patio for lazy days in the midday heat, and long evenings entertaining your friends with the build in barbecue braai.